Something I have been looking into these few days are life insurance policies. I was doing research as on which life insurance policy should I take up, but most insurers' websites do not provide quotes directly so it was difficult for me to calculate whether the policy is fairly priced or not. I've made a few appointments with some insurance agents and will get direct information from them next week. But not until I stumbled upon this website called UforLife, a platform offering instant quotes for life insurance policy, insured by Tokio Marine Life. 1) Inflation rate of 3% p.a. 2) Sum assured of RM100k upon death of the policyholder. where P represents the annual premium, i represents interest rate, f represents inflation rate. 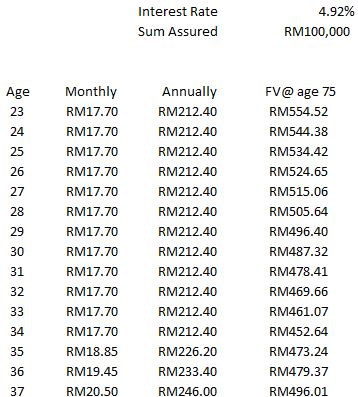 The purpose of calculating this is to find out the minimum return I will need to make from investments of my choice to accumulate RM100k, assuming I do not buy this policy and yet set aside a similar amount of money equal to monthly premiums until the age of 75. 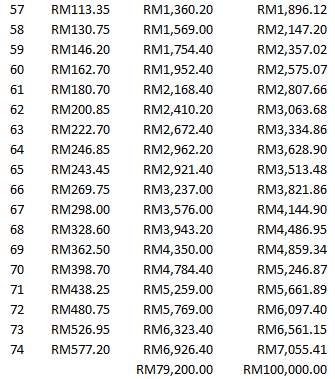 To arrive at the RM100k sum assured at the age of 75, one needs to earn at least 4.92% return from investment. Fixed deposit won't be able to do that currently, leaving us with EPF or some other riskier investments. Having a quick glance at the 20-year history of EPF dividends from year 1995 until the latest year 2014 gave me the result of 5.48% on average, which obviously fits our minimum 4.92% return of investment. But does it mean we don't need to buy insurance anymore? The answer is... NO! A BIG NO! This insurance policy, despite being a term assurance not whole life, serves as a protection to everyone regardless of age group and gender. 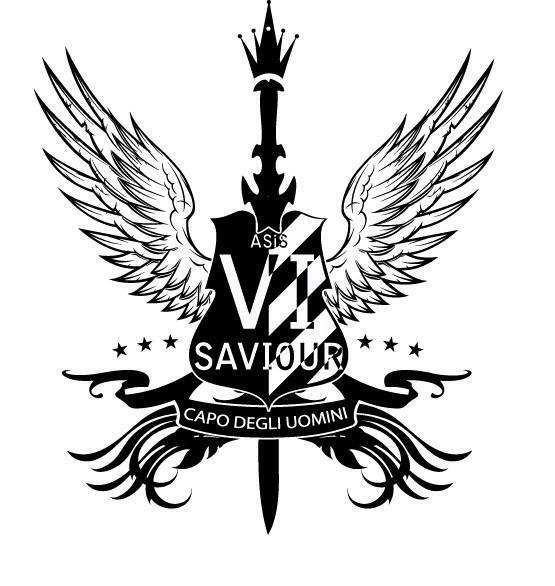 No one can predict the future, but we can prepare for it. Who knows what will happen tomorrow? The next 5 years? 10 years? Anything farther than 10 years are even more difficult to forecast. 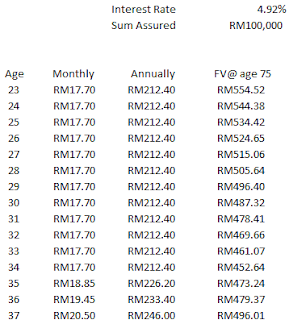 The calculation I have done above shows the minimum return of investment, assuming I will live until the age of 75, and die at the end of the insurance policy. But what if... I die much earlier than the age of 75? No investment can make up to that unnecessary longevity risk. Yes, of course you can say "That's why you must be mentally and physically strong, so that you will live a long healthy life and live past 75!". But really... we just never know. For however long we wish we could live, we still can't decide when we are leaving this Earth; the ultimate power lies with God. If you love your family members (even if you have no dependant, or even more if you are the breadwinner), insurance is always a good form of protection against unexpected adverse events. Things happen and while we cannot decide when and how we will die, we can decide our family's financial position upon our demise. The choice is in your hand. While I am just using this quote from UforLife as an example, my main point is to illustrate why we should place higher priority on life insurance, rather than putting it as the least importance of all. But if you are considering UforLife though, since it is one of the cheapest and most affordable policies around, it does not acquire cash value. In other word, if you somewhere along the line decided to lapse the policy, there is no surrender value that can be cashed out. In layman term, you would NOT be able to get back any money paid if you stop paying the premiums and forgo the policy. So yes, beware of this before making the decision. Every term and condition counts! P/S: I am still looking for one policy that suits me... maybe not term insurance but medical insurance? TPD insurance? Still looking around.